Just finished my calculator. I believe I had solved many of the common problems people have such as repeating decimals, etc. Feedback is greatly appreciated. Disclaimer: I do realize my project is not responsive and mobile friendly. and then immediately enter * 3 so I would get 1 as a result. 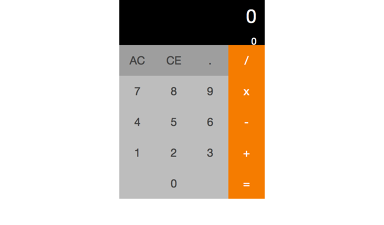 Your calculator does not allow you to use the current result (after pressing =) to be used in the next calculation.